Starting now our patients can take advantage of a very special offer. 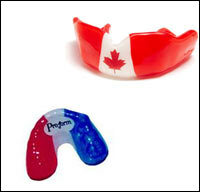 We are having a special on individually fitted sports mouthguards, customized to your team colours for only $75! September 2011: Tips, eNews, and More! 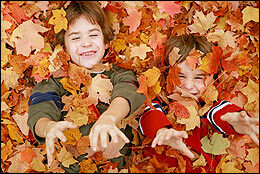 The first day of autumn - September 23 - is just around the corner. Don't fret: there is still time for a round of golf, another game of tennis or a long nature hike to view the amazing colour show Ontario enjoys each year. 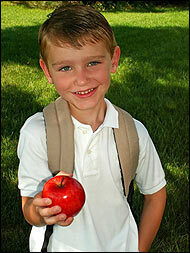 Many of you are back in school or perhaps settling back into a more demanding routine. This can add stress and make you look for ways to save time. Two things that should not be eliminated from your morning routine are flossing and breakfast. Flossing is an essential component of oral hygiene: it only takes a few moments and its benefits last a lifetime. 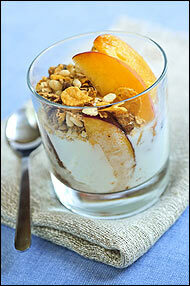 From the classroom to the boardroom, a healthy breakfast improves performance, concentration and overall health. You don't need a three course sit-down meal, simply a healthy nutritious boost to start your day. If you are looking for something fun to do with the family, apple picking season is here again. For those of you looking for different fruit to pick this year, Ontario also boasts delicious peaches, nectarines and plums, followed by pears in August. Freshly picked fruit shoul be a great component to your breakfast, and reminds you from where the food in the supermarket was grown. If you are in Toronto on October 1, be sure to check out Nuit BlancheIt is an amazing way to explore the city and has been getting better each year. Remember to bring a camera and feel free to share your photos with us, we may include them in next month's eNewsletter. All you need to do to be entered into our monthly draw is to LIKE our FACEBOOK and/or follow us on TWITTER and you will be entered in a draw to win Gift Certificates to Starbucks! The Winner to be featured on the October 2011 Newsletter, Facebook and Twitter... Enter Today!!!! August Social Networking Contest Winner! Congratulations Debora! Please contact our office to claim your prize. Protect Your Winning Smile with a Mouthguard! As kids head back to school and organized sports, Dr. Nick and his team would like to remind parents and coaches about the importance of proper mouthguards to protect teeth and avoid mouth injuries. Mouthguards are flexible dental appliances worn by athletes to protect teeth from possible damage. They are usually made of plastic materials that fit comfortably over your teeth and gums. There are over the counter variations available, but for the highest level of protection we recommend a custom fitted mouthguard that is made specifically for your smile. Mouthguards prevent the lower jaw from impacting into the upper jaw averting major injuries such as concussions, jaw fractures, neck injuries as well as limiting bruising and laceration of the lips and cheeks. Whenever there is a possibility of contact either with other competitors or any immovable objects we highly recommend the use of a mouthguard. 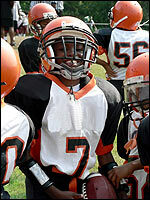 Many schools and sports leagues require the wearing of mouthguards during both practice and actual competition. Even if this is not mandatory, mouthguards should be worn during active involvement in sports. Parents in particular should ensure that children, who may not be aware of or fully understand the potential dangers, protect their winning smiles through the use of mouthguards. If you have been skipping breakfast or grabbing something when you get to the office, you may be missing out on the healthy start that your body needs. By planning ahead and preparing your breakfast in advance you can save time, money and your health. A good go-to recipe for a homemade granola can be used as a quick breakfast or as a snack you keep at your desk to eliminate the temptation of less healthy alternatives throughout the day. Start with good quality whole rolled oats. This is the basis of the recipe. Use sweeteners such as maple syrup, agave nectar, and honey. Use healthier plant based oils such as sunflower oil, coconut oil or organic canola oil. Have fun adding healthy things you love, such as almonds, pumpkin seeds, sunflower seeds, flax seeds, sesame seeds, coconut flakes, apricots, raisins, goji berries... Add whatever you want! It's yours to enjoy. Once it is made, simply store it in a glass jar and it will keep for a good couple of months. By making your own granola, you will know exactly what is in it and avoid countless additives and preservatives that are found in store bought varieties. To get you started here is a recipe we love. Remember that you can alter it to taste and use it to get your day started .